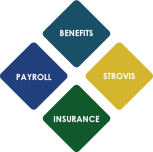 Providing unbiased access to the most current and competitive health plans through the federal individual and SHOP marketplaces, private carrier exchanges, and our own direct individual marketplace, the Strovis Marketplace. 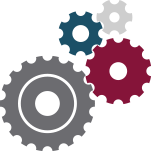 An independent broker of group, voluntary and worksite benefits. Our plans include Health, Dental, Vision, Life, Disability, Accident, Cancer, Critical Illness and Gap 401(k). Plans can be fully-insured, level-funded and/or self-insured. Providing Web Portals and Benefits Administration Systems for online connectivity, communication and enrollment.